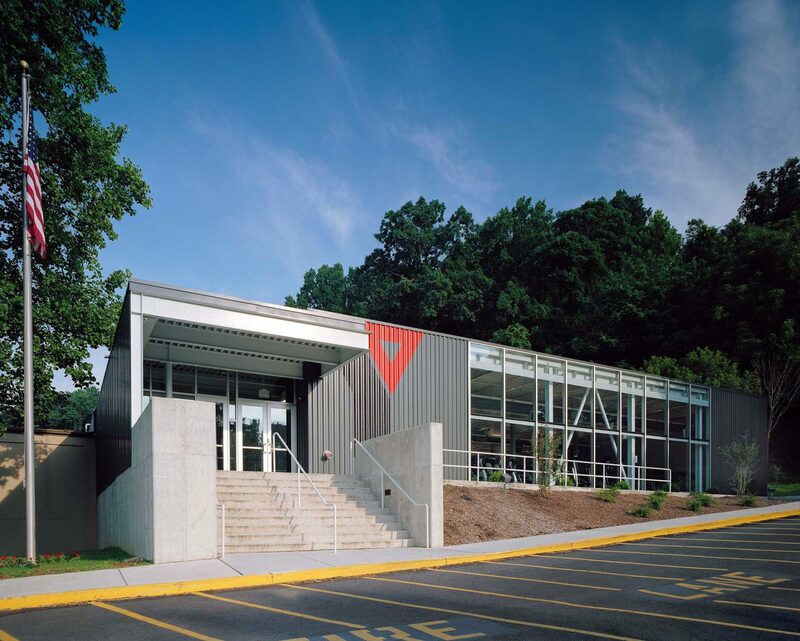 The 15,000-square-foot addition to the YMCA includes program space for a Wellness Center (cardio, machine strength conditioning equipment and free weights), a Physical Therapy Center associated with and operated by the neighboring hospital, an aerobics studio, a large lobby/gathering area, flexible activity space for teen and adult programs, child care, and renovated administrative space. Following on the heels of a feasibility study and fundraising program to add much needed program space to the hillside facility, Spillman Farmer Architects was engaged to work closely with the staff and members to design the addition and renovations. The 15,000-square-foot addition includes program space for a Wellness Center (cardio, machine strength conditioning equipment and free weights), a Physical Therapy Center associated with and operated by nearby Warren Hospital, an aerobics studio, a large lobby/gathering area, flexible activity space for teen and adult programs, child care, and renovated administrative space. A new special-needs locker room is also included in the renovation design and an elevator was added to provide full accessibility between floors. The addition is intentionally located at the front of the existing building to provide a new image and entry for the complex. Through the use of large expanses of glass, the addition also allows for visual access into the Wellness Center, a feature that was lacking in the original building design. The new entry also resolves access problems that existed with the original entry. The fresh and vibrant image created by the new addition is carried through to the interior of the building with new lighting, materials and colors, and helps to set the tone for facility improvements planned for the future.